COUDERSPORT, Pa.---Dorothy A. Smith, 90, a longtime resident of Coudersport, passed away at the home of her nephew and his wife, John and Tammy Setzer of Coudersport, on Monday, February 4, 2019, after a long illness. Born on January 22, 1929 in Coudersport, she was a daughter of John Joseph and Helen Lucille Butler Dubots. On July 5, 1948 in St. Eulalia Catholic Church in Coudersport, she married Robert H. “Bob” Smith, who passed away on May 14, 2018. 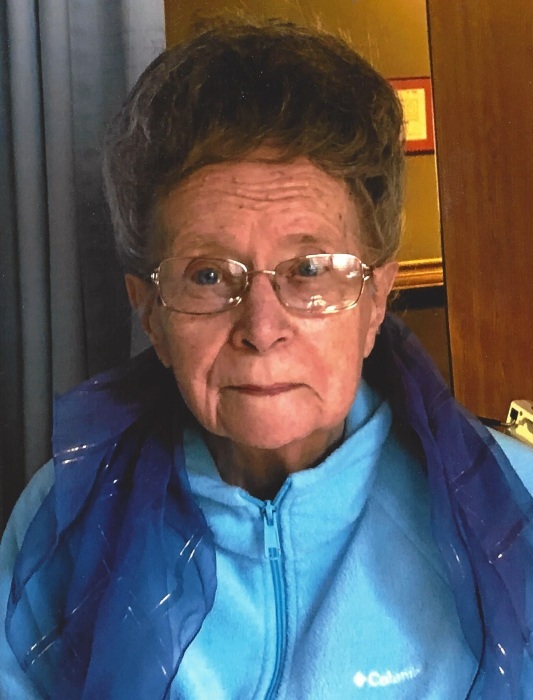 Dorothy was a member of St. Eulalia Catholic Church in Coudersport, a member of the Catholic Daughters of America Doyle Court #932 in Coudersport, and a member of the Office Girls Club in Coudersport. She enjoyed sewing, ceramics, and gardening. She and Bob loved their many dogs through the years and she loved Mack, who is her nephew and his wife’s dog. Surviving are several nieces, nephews and cousins, including a special nephew, John Setzer and his wife, Tammy, with whom Dorothy resided. In addition to her parents and husband, Dorothy was predeceased by three children, Patricia Smith, Tommy Smith, and Cheryl Smith, who all sadly passed away from Cystic Fibrosis; a brother, John Dubots; two sisters, Kathryn Setzer and Joanne Dubots; and her best friend, Victoria “Vicki” Frederick. Family and friends may call from 10am to 11am on Friday, February 8, 2019, at the gathering space of St. Eulalia Catholic Church. A Mass of Christian Burial will be celebrated in the church at 11am with the Rev. James C. Campbell, pastor, as celebrant. Burial will be in St. Eulalia Catholic Cemetery, Coudersport. In lieu of flowers, memorials may be made to St. Eulalia Catholic Church, 6 Maple Street. Coudersport, PA 16915 or to a charity of the donor’s choice. Dorothy’s family has entrusted her care to Kevin J. Dusenbury, funeral director/owner of the Virgil L. Howard Funeral Home, Shinglehouse.